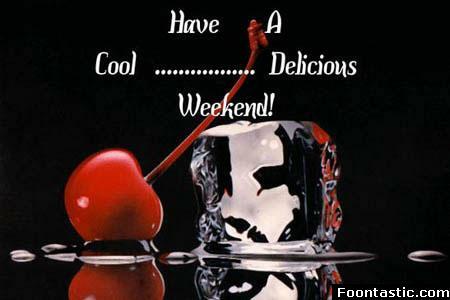 Weekend Scrap Graphics and Image Codes - Scroll all the way down to view all of our Orkut Weekend Scrap graphics. Remember that there may be more than one page, and if there are extra pages, links to view extra Weekend Scraps will be at the foot of the page. Although these Scrap codes are mainly used on Orkut profiles, they can also be used on the majority of social networking web sites including: Friendster, Xanga, Cherry TAP, Hi5, Zorpia, Stickam, TooSpoiled, Yahoo360, Flixter, Tagged, Perfspot, AIM Pages, HoverSpot and Veoh. To use an Weekend graphic on the site of your choice, simply copy (control + C) and paste (control + V) the code into an area of your profile, or a Scraps form that allows html code to be added.